ST. PETERSBURG, RUSSIA. MAY 3, 2016. Tug boats dancing on the Neva River during the 3rd Icebreaker festival. 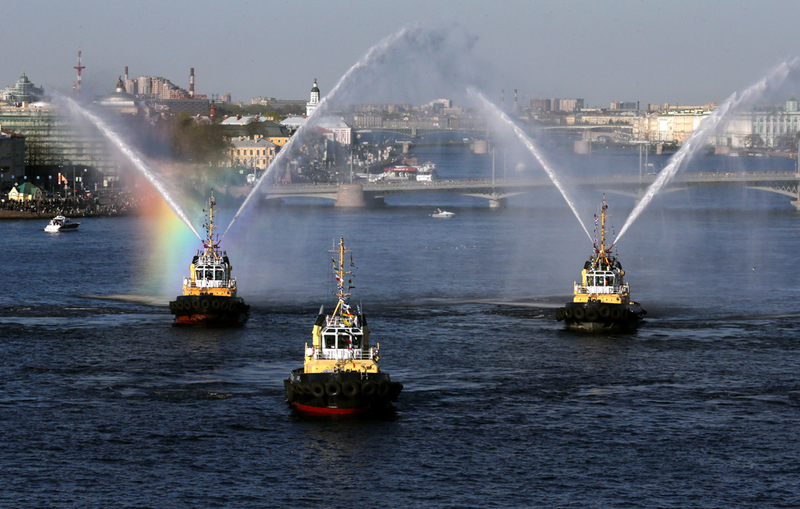 Tug boats dancing on the Neva River during the 3rd Icebreaker festival in St. Petersburg.